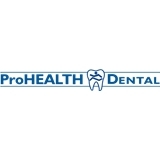 ProHEALTH Dental (Long Island City) - Book Appointment Online! I waited over two hours to be seen because they "have problems with zocdoc" and couldn't find my appointment. Dr. Perez was amazing and I had a great in office experience despite the wait. However, a few days later I was called and informed that I still owed them for my visit after already paying for the full VIP package they offer for those uninsured. The office manager informed me that I "should have known" that the special X-Ray was an additional charge because it was "in a different room". She was argumentative on the phone and insulted my intelligence repeatedly. I am a highly successful working professional with multiple higher education degrees so I didn't appreciate her assumption regarding my intelligence just because going into another room indicates additional fees. I was extremely calm and praised the front desk staff and Dr. Perez and told her I was disappointed that this was not communicated to me in office and seemed quite sketchy. She yelled at me that I refused to agree to the charge (not true I just stated it was difficult after already spending quite a sum at my visit) and eventually waived the fee. When she waived it she essentially told me I was becoming detrimental to their service and that our bill goes towards the payroll of their staff and that by not paying I was hurting this. If the office manager was not so incredibly rude and unprofessional I would probably return to this office but unfortunately I can't trust them and their service is horrendous and offensive. I hope others have a better experience. Dr. Brecher was very patient and understanding in getting my nervous son through his 2nd trip ever to the dentist. She found opportunities for him to "help" which kept him calm throughout the checkup. Thank you! Dr. Shah was patient and very sweet. I needed to have fillings and crowns. She explained everything to me. I look forward to my next visit. Thank you so much! Joseph Thank you Sienna. I love Dr. Kaus and everyone at ProHealth Dental. Listen everyone needs to come here. Very happy Dr. Brenner is back! And as usual Paula was great! Thank you!